With a view to further strengthening strategic cooperation, the Hungarian Investment Promotion Agency (HIPA) and MSD Pharma Hungary Kft. signed a Memorandum of Understanding (MoU). 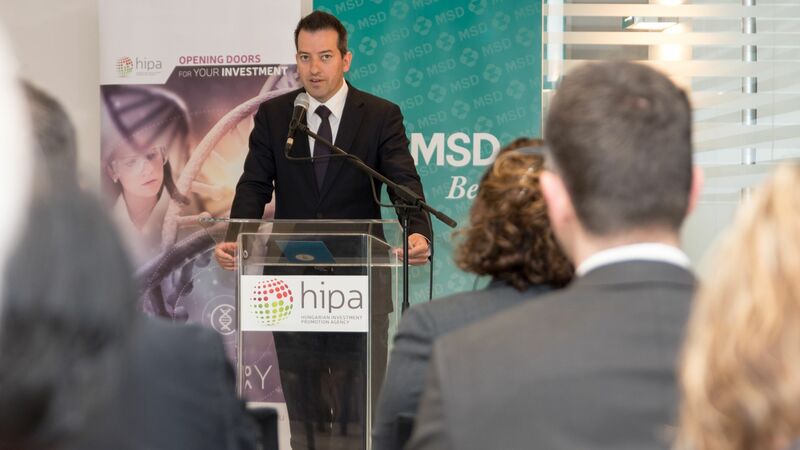 Within the framework of the established partnership, HIPA is providing a one-stop-shop project and after care service for job creation and staff training, and research and development programmes of the American based pharmaceutical company, while MSD will continue to contribute to the long-term growth the Hungarian economy through high added-value activities. MSD Pharma Hungary – belonging to the Merck Group of America – has been operating in Hungary for 25 years. MSD is one of Hungary's most innovative pharmaceutical companies in the field of research and development; the company will spend HUF 9 billion on research in Hungary in the coming period. At the present 50 different clinical trials financed by MSD are conducted at 200 trial locations, with the collaboration of 500 health care professionals (specialist physicians, nurses), and more than 800 patients have participated in trials in 2016. It is important to note that in addition to offering hundreds of patients a chance for recovery with state-of-the-art pharmaceutical products, the company is making substantial efforts to retain physicians and health care workers in Hungary. The MoU allows the two organizations to strengthen cooperation; the training, research and development, expansion plans and programmes of the American pharmaceutical company can receive a boost with the support of HIPA. Róbert Ésik, president of HIPA, noted the following: "Hungary is an ideal location for the pharmaceutical industry because a highly qualified workforce is available at a fair cost, companies can develop cooperation with Hungarian educational institutions, and the geographical location of the country is good in terms of logistics. From this year, the promotion of investment is placing emphasis on the creation of high-quality jobs; the enhanced incentive scheme assigns a priority to research and development and to technology-intensive investments." 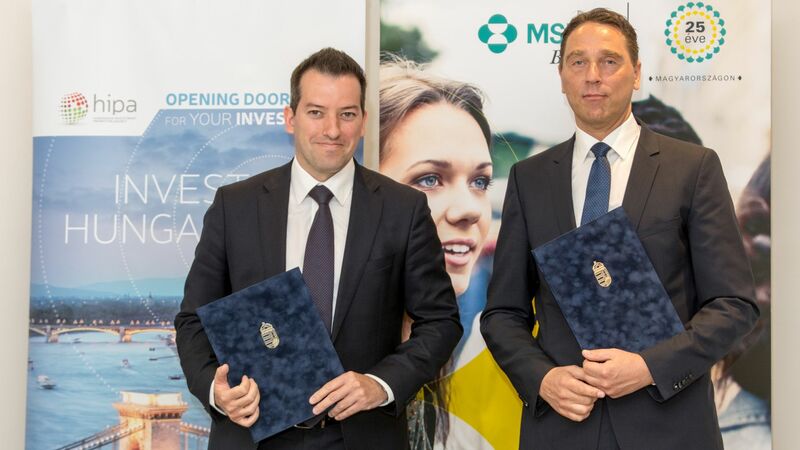 "MSD is bringing the newest therapies and complex solutions to Hungary on a regular basis, in close cooperation with HIPA in relation to investments, and in partnership with the health care administration in professional medical matters. This partnership covers more than just medicine. Today this partnership is recognised and made even stronger. We play a leading role in clinical trials in Hungary; in the coming period our company will spend HUF 9 billion on research and development in Hungary. 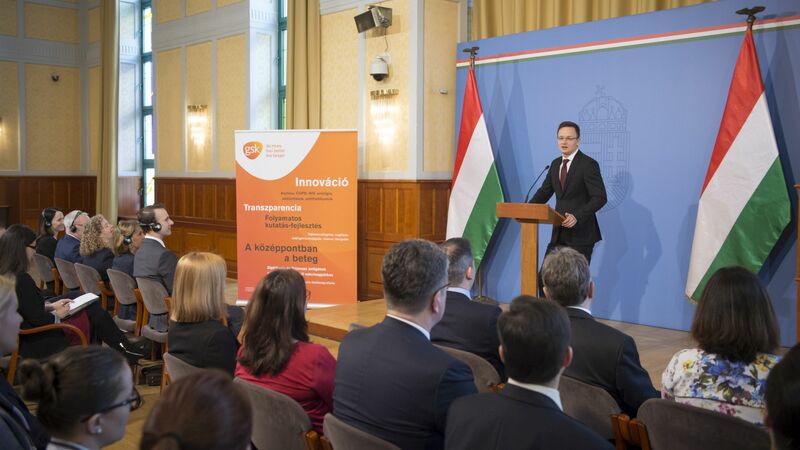 We are optimistic in terms of the next 25 years and are committed to the mission of providing pioneering solutions to the health problems of Hungary, which pose the greatest challenge," said Thomas Straumits, managing director of MSD Pharma Hungary. The Hungarian pharmaceutical industry has a history of more than 100 years; it is a traditionally innovation-driven sector, providing approximately 40% of R&D in the manufacturing industry. It also significantly contributes to the performance of the national economy in terms of exports.